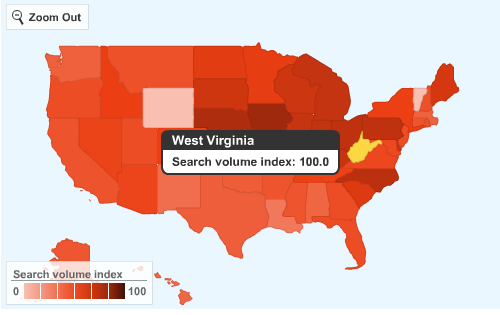 Similar to Google Trends, users can insert a search term to see search volume patterns over time, as well as the top related and rising searches. Users will get the ability to compare search volume trends across multiple search terms, categories, geographic regions, or specific time ranges. What can you gain from Google Insights for Search? The search for Pepsi exceeds not only the search for Coca Cola, but is found to be much higher than the whole category. 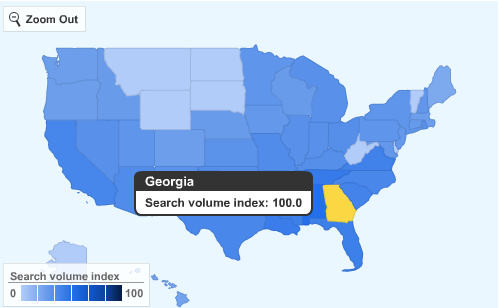 Coca Cola is most popular in Georgia while Pepsi is most popular in West Virginia. Rising search terms for Coca Cola includes coca cola wiki (+100%) , coca cola park, (+80%), pepsi careers (+50%), coca cola mexico (+50%), coca cola careers (+40%), pepsi products (+30%), coca cola zero (+30%), coca cola factory (+30%), coca cola china (+30%), pepsi jobs (+20%). Note that you can click on each search term to find its specific popularity, and can download a csv file for your convenience. Only recently, Google introduced Google Trends For Websites , a new tool that lets users observe the traffic data from sites around the web. As suggested by TechCrunch, “the new feature pits Google against a number of well-established players in the traffic data space, including Compete , Comscore , and Alexa ”. Today, Google opens another competitive frontier against search analytics providers as Hitwise, Compete and ComScore. Google offers a free playground, but not one customized to companies specific tracking needs. Moreover, as in other Google trend tools, it displays only relative results. Yes, its probably Google’s strategy stating – we do know it all, we govern all data and use it for our own interests. Google Insights for Search is a service by Google similar to but a much more advanced extension to Google Trends with more flexibility and functionality. OMG enjoyed reading your blogpost. I added your feed to my blogreader.